There is danger in that cupcake. 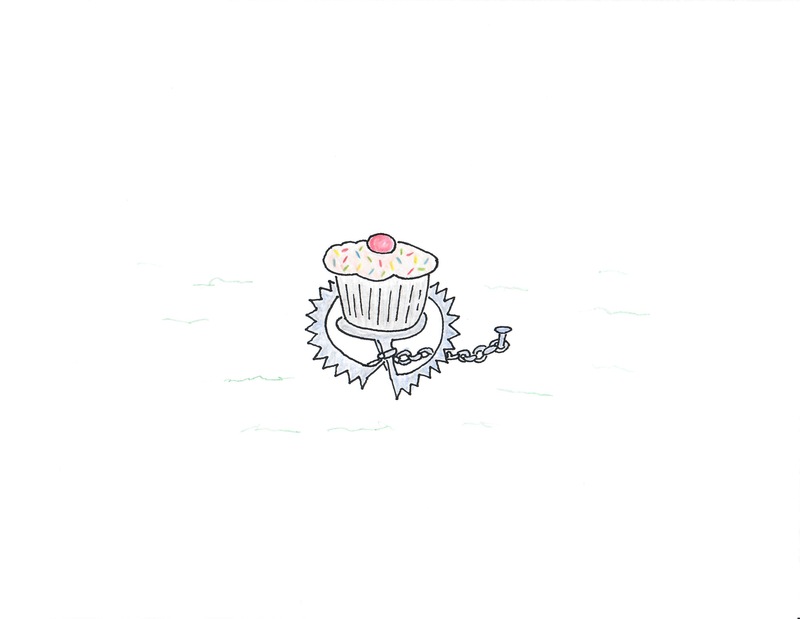 The cupcake trap (by S.H.R., pen and ink and pencil on paper) was inspired by Q4302 29.499651 -98.46682 Kate’s Frosting. The cupcake! It’s a trap!